1. Lollapalooza set an attendance record this past weekend, but if it didn’t slake your thirst for outdoor music in general or electronica in particular, head to The Mid Tuesday night for the Toast of the Coast Finals. Local DJs and bands (The Palmer Squares, Second City Citizens, Supreme Regime and more) will compete to win a spot at this year&apos;s North Coast Music Festival, which takes place the final weekend of August. The show’s for those who like their music/culture in bite-sized chunks. Each act will play a 15-minute set. And if you’re dreaming of other music festivals to come, the City has finally released the schedule for the 2012 World Music Festival – here’s some early, mixed reaction to this year’s line-up. New venues this year include Austin’s town hall and the Logan Center for the Performing Arts at the University of Chicago. 2. The annual month-long Black Harvest Film Festival kicked off this weekend at the Gene Siskel Film Center. The festival celebrates black history and culture around the world, including right here in our backyard. Sunday you can see The Curators of Dixon School, which documents the efforts of the Chatham elementary school to make art a significant part of the school’s environment. And be sure to head out next week for Englewood (The Growing Pains in Chicago). 3. Exciting news for new music fans – the first ever Thirsty Ear Festival is this Saturday evening at the Empty Bottle. I’m constantly astonished by the richness and variety of Chicago’s new and experimental classical music scene. There are ensembles ranging from saxophone ensemble Anubis to percussive dynamos Third Coast Percussion, great programs and groups coming out of local universities as well as traditional stalwarts like the Chicago Symphony Orchestra, which this year extended the terms of Mead composers-in-residence Anna Clyne and Mason Bates. Thirsty Ear performances include clarinetist James Falzone, who will incorporate prayer bowls into his performance. And MAVerick Ensemble will perform three pieces, including one by University of Chicago music professor and Israeli-American Shulamit Ran. If you can’t make the fest fear not, WFMT will host a live broadcast of the proceedings. 4. Chicagoan in the spotlight: Theaster Gates, who in this latest profile is dubbed a man with “glocal” influence. His re-building efforts in Chicago’s South Shore neighborhood continues, with a plan to turn a long-vacant bank at 68th and South Stoney Island Avenue into a cultural center, another neighborhood resource to go along with his arts and film screening space, and low-income housing development. 5. If Theaster Gates’ list of public works continues to grow no doubt he’ll eventually be memorialized in some form or another. 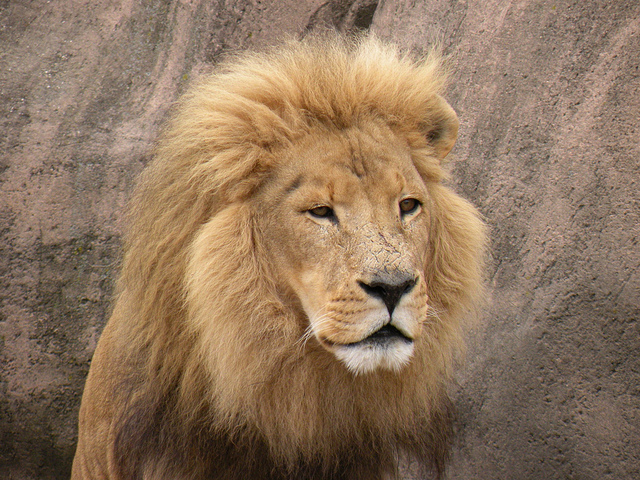 Meanwhile another notable Chicagoan is getting his due – Adelor, the long-time lion king of the Lincoln Park Zoo, was euthanized earlier this year. Now local sculptors Jeff and Anna Varilla, of the Koh-Varilla Guild, have been commissioned to create a life-sized monument of the popular and powerful African lion. More to come on this story!